And how to Check Customer Retention. We all have stores that we keep returning to. Our favourite joints, coffee shop, etc. Do you return to a store so often that the staff would know you by name? Or your order? The question is why we return to a particular store or not. Businesses try to create returning customers to improve their sales; they want us to keep coming back. What makes a customer return? And what can help us measure customer retention? Previously, with the Fashion Benchmark study, we talked about how important it is to greet customers and how to do so in a memorable way. Now, let’s look at the elements that make customers come back. A returning customer is an indication that your business is running well. Customer loyalty is what you ultimately want from your customers. Let’s take Apple for example. It’s hard to ignore the brand loyalty of Apple users. Yes, the products are nice, but did you know that Apple is constantly listed as one of the top companies in Customer Service? So what do top teir company do differently? How do they retain their customer loyalty? How do they create returning customers? 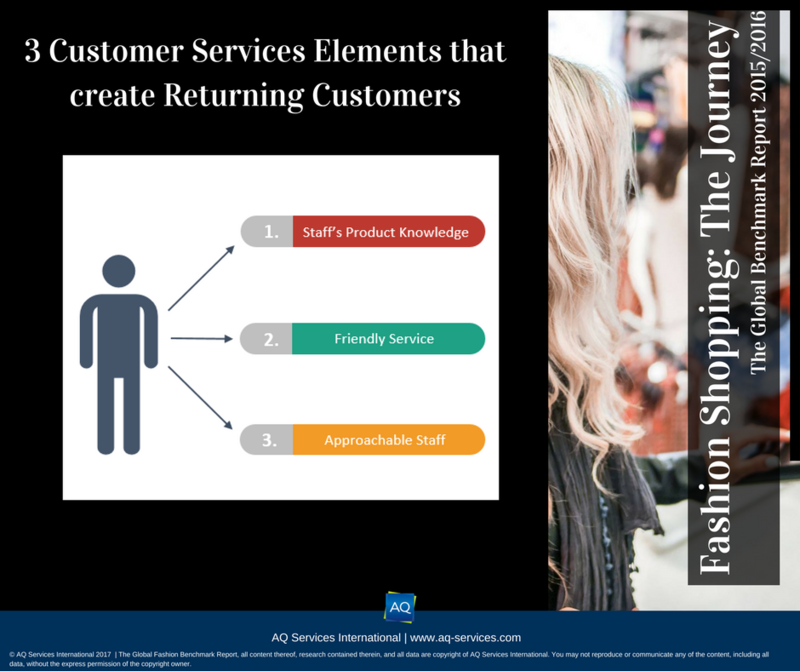 According to our Fashion Benchmark, there are 3 Elements that have the most impact on a customer’s decision to return. Now, we know that these numbers are based on the fashion industry, but when you look at them closely, these are elements that play a role in any industry. To create returning customers, companies have to give people a reason to come back. One of the most asked-for elements is for staff to have good product knowledge. Personally, this is the main reason I would return to a store. Imagine walking into a store and telling staff what you need rather than what you want. Staff makes a semi-satisfactory suggestion based on your requirements and you make the purchase based on their advice. On your way out, however, you find something that better suits your needs. This has happened to me and I find it very annoying. I’m sure I’m not the only one; this type of disconnect between staff and customer matters in any industry. In the fashion industry, staff needs to have adequate product knowledge to help customers with fashion-related queries and/or requirements. They need to know things like what clothes and shoes are made of, how to care for a product – do you wash it or only dry clean it? What type of polish should you use on those shoes? – and what sizes are available. Essentially, it comes down to the fact that the more staff is able to show customers that they know what they’re talking about, the more confident the customer will be in the validity of the suggestion and, eventually, their purchase. Remember the last time you were well attended to by friendly staff? 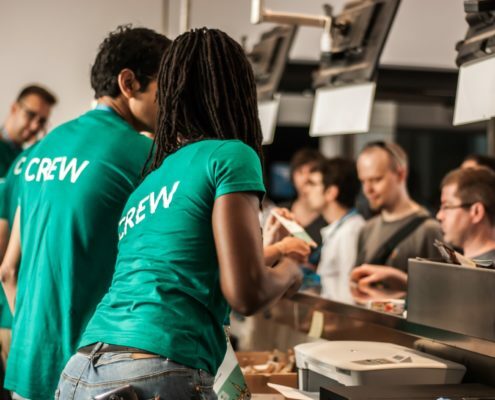 Friendly service is a standard in any service industry, and while there are staff members that are genuinely friendly, well-able to put a smile on your face without any effort, there are also those who need to work at it a little bit harder. The latter aren’t bad at their jobs, they just don’t have that same motivational power that drive sales or easily create returning customers. The former enjoy helping and talking to customers – usually, they’re just good with people in general. These are the frontliners that go out of their way to find the best solution for whatever it is the customer is looking for. When we couple friendly service with good product knowledge, staff will be able to make a serious impact on any customer. This, in turn, allows the customer to feel at ease knowing that the staff knows that he/she is talking about and is genuinely looking to help the customer. 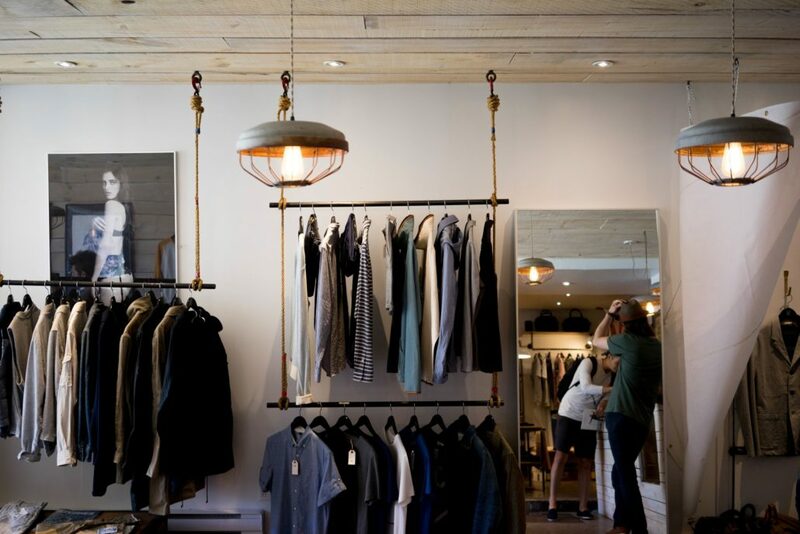 If you, as a customer, know exactly what you want, you enter the store and grab what you want. Friendly service makes all the difference here and determines whether the company has been successful in its strategy to create returning customers. If you don’t have much knowledge of what you are looking for. The staff will need to use his/her product knowledge to inform you. Now, if the staff is able to attend to you well and in a friendly manner, he may have just made a “regular customer”. Being approachable isn’t necessarily the same thing as being friendly – though, obviously, being friendly makes staff more approachable by default. Being approachable is also about availability. Customers should feel free to ask any member of the staff a question, they shouldn’t feel as though they are a burden, even if their question is mundane. Staff being approachable means that they put customers at ease, readily answer questions, and stand ready to help. Approachable staff is open and willing to attend to customers. It’s important to make customer feel at ease and letting them know that you are available to attend to them without judgment or hesitation. It also means that although a staff member has product knowledge, he/she will also allow the customer to give some opinions and contribute to a discussion on the products. Staff needs to be friendly without intimidating the customer. Not everybody is the same and customers can be quite sensitive at times. Therefore, the staff member needs to be able to recognise and evaluate as to how best attend to a specific customer. All of these things leads to an opportunity to create returning customers. Returning, happy, and satisfied customers is what the aim is. When your brand becomes something they can identify with and meets their expectation. Is your frontline staff meeting those expectations? Hire a mystery shopping specialist like AQ to help you find out.